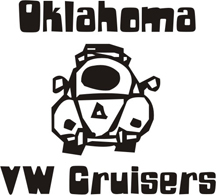 Oklahoma Vw Cruisers • CV joint help please! Hey guys, This thing has been killing me all day, my 69 beetle had busted boots so i thought i should change them before i made the drive to Yukon on Saturday, i get the shaft out which was the easy part get all the old grease out then cut the old boots off, get the snap ring off and by then all the balls have fallen out, tired to keep 'em to the right joint but not sure if i did, finally get the new boots on clean up the joints put everything back together went to install and i can't get the joints to adjust, they wont move at all, their just stiff, and the grease, omg the grease! everywhere i see grease! it's so frustrating i don't know what else to do and then i have one more day to get this bug back on the road, so i'm starting to panic, i was wondering if anybody could give me some advice or help figure out what i'm doing wrong, if not i was gonna take the joint to the vw shop on western hopeful they could get it right, so any advice or help would be most thankful. Re: CV joint help please! dont you live by me ??? where you at ??? 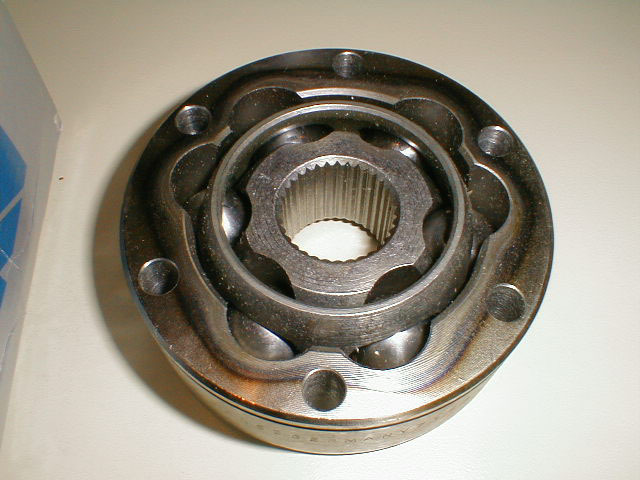 take the balls out, then the outer part has to be rotated one or 2 spots then put back togther. Okay, i'm starting early on this, one of the problems im having is taking the bearing back apart i can't get it to move at all, im heading to walmart for more brake cleaner, and some paper towels and gloves, ill try to post some pics here in a little bit, i don't know how long i should mess with it until giving up and taking it to someone, i still gotta put my bumpers on and go get my tag! I live by NW 36th and Penn, i don't know how far that is from ya Joe, but any help would be great. thanks guys. ill let ya know what happens. Oh also dont forget there is a beveled edge on the outer part, it has to go on the outside to fit in the cups of the axle or trans. This pic might help in the orientation.